An unapologetic President Donald Trump defended his administration's border-protection policies Monday in the face of rising national outrage over the forced separation of migrant children from their parents. Calling for tough action against illegal immigration, Trump declared the U.S. "will not be a migrant camp" on his watch. Democrats have turned up the pressure over the policy, and some Republicans have joined the chorus of criticism. Former first lady Laura Bush has called the policy "cruel" and "immoral" while GOP Sen. Susan Collins expressed concern about it and a former adviser to Trump questioned using the policy to pressure Democrats on immigration legislation. In a guest column for the Washington Post Sunday, Mrs. Bush made some of the strongest comments yet from a Republican. Former first lady Michelle Obama later shared Mrs. Bush's post about the op-ed on Twitter, writing, "Sometimes truth transcends party." Former first lady Rosalynn Carter released a statement Monday calling the "policy and practice" of separating children from parents at the border "disgraceful and a shame to our country." Former Secretary of State Hillary Clinton weighed in Monday, calling the administration's "zero tolerance" policy "a moral and humanitarian crisis." 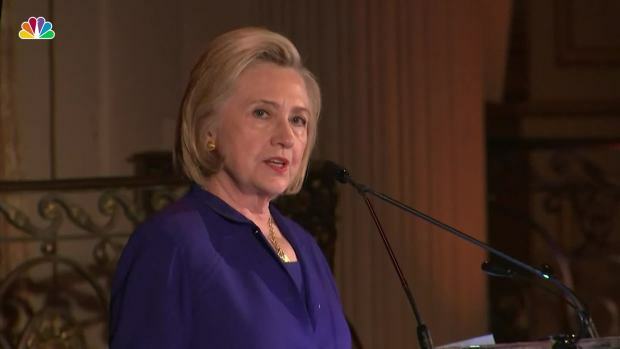 Speaking at an awards lunch for the Women's Forum of New York, Clinton said what was happening to families at the U.S.-Mexico border is "horrific." "Every human being with a sense of compassion and decency should be outraged," Clinton said. Hillary Clinton commented on migrant children being separated from their families at the border today during a speech at the Women's Forum of New York, saying in part, "every person with a sense of compassion and decency should be outraged." Underscoring the emotional tension, first lady Melania Trump, who has tended to stay out of contentious policy debates, also waded into the issue. Her spokeswoman said that Mrs. Trump believes "we need to be a country that follows all laws," but also one "that governs with heart." President Trump continued to cast blame on Democrats Monday, tweeting: "Why don't the Democrats give us the votes to fix the world's worst immigration laws? Where is the outcry for the killings and crime being caused by gangs and thugs, including MS-13, coming into our country illegally?" Later, he again blamed Democrats during an event. President Donald Trump and some congressional Republicans have been claiming a law is forcing the Trump administration to separate migrant children from their parents at the border. Homeland Security Secretary Kirstjen Nielsen refused Monday to apologize for enforcing immigration laws that result in the separation of children from their parents. Speaking to reporters in the White House briefing room Monday, she rejected criticism accusing DHS of inhumane and immoral actions and repeatedly deflected blame to Congress. 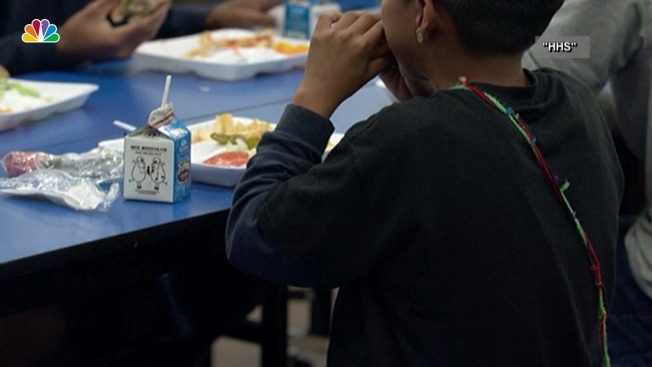 "Congress and the court created this problem, and Congress alone can fix it," Nielsen said. Homeland Security Secretary Kirstjen Nielsen defended the practice of separating families at the U.S.-Mexico border, saying that her department is merely following laws. Speaking at a White House briefing Monday, Nielsen said the issue has been growing for years, the product of loopholes that have created an open border. Nielsen said the immigration crisis that has led to families being separated is not new to the Trump administration. She said the issue has been growing for years and is the product of loopholes that have created an open border. As of Monday, the Department of Health and Human Services has 11,785 minors in its care, a number that jumped by 500 in the past two weeks and that includes “all minors at all shelters and facilities in the unaccompanied alien children program,” a department official told NBC News. The current holding areas have drawn widespread attention after journalists gained access to one site Sunday. At a McAllen, Texas, detention center hundreds of migrant children wait in a series of cages created by metal fencing. One cage had 20 children inside. Scattered about are bottles of water, bags of chips and large foil sheets intended to serve as blankets. On an audio recording released Monday by Propublica, children can be heard wailing inside a U.S. Customs and Border Protection facility as a Border Patrol agent jokes, “We have an orchestra here.” The audio was posted by the news outlet Monday but its origin has not been independently verified by NBC News. At the current pace, the number of migrant children being held would hit 20,695 by the beginning of August. Nielsen said that releasing parents with their children amounts to a "get out of jail free card" policy for those in the country illegally. She said she has not seen the photos or the audio released Monday from border detention centers. The signs of splintering GOP support come after longtime Trump ally, the Rev. Franklin Graham, called the policy "disgraceful." Several religious groups, including some conservative ones, have pushed to stop the practice of separating immigrant children from their parents. Former Trump adviser Anthony Scaramucci said Monday on CNN that it "doesn't feel right" for the Trump administration to blame Democrats for separating parents and children at the southern border as a way of pressuring Democrats into negotiating on a Republican immigration bill. This pressure is coming as some White House officials have tried to distance themselves from the policy. "Nobody likes" breaking up families and "seeing babies ripped from their mothers' arms," said presidential counselor Kellyanne Conway. Trump's former chief strategist, meanwhile, said Republicans would face steep consequences for pushing the compromise bill because it provides a path to citizenship for young "Dreamer" immigrants brought to the country illegally as children. Steve Bannon argued that effort risked alienating Trump's political base and contributing to election losses in November, when Republicans hope to preserve their congressional majorities. Jill Colvin of the Associated Press contributed to this report.